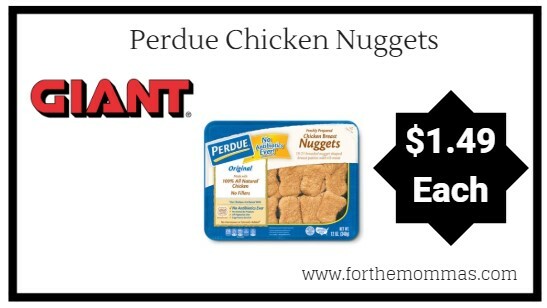 Giant: Perdue Chicken Nuggets & More Just $1.49 Each Thru 1/24! Thru 1/24, Giant shoppers can score Perdue Chicken Nuggets for ONLY $1.99. Plus, there is a Perdue product printable coupon available to stack with this deal to make the final price $1.49 each.